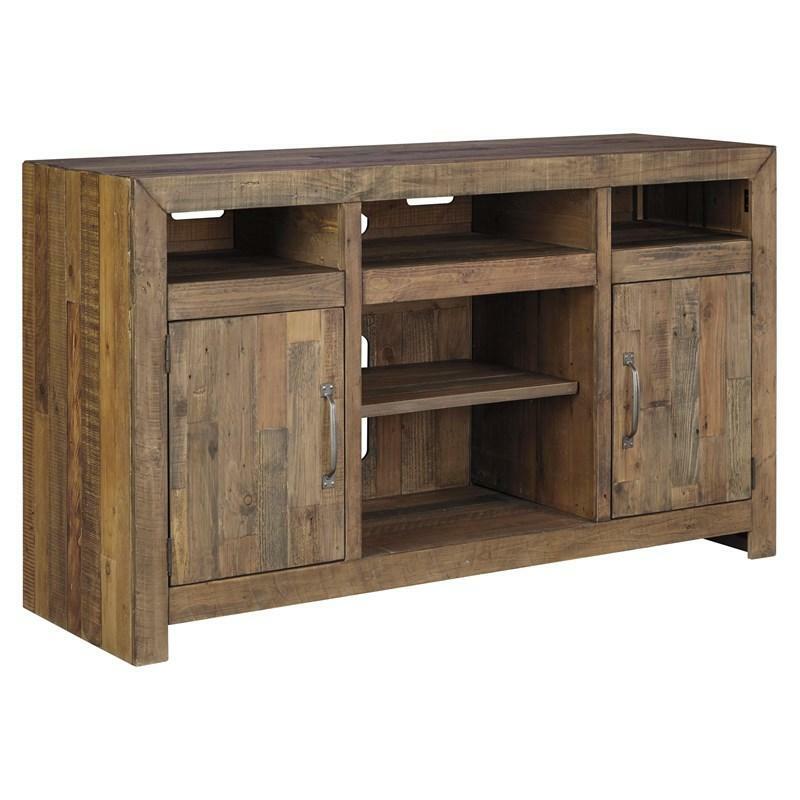 Sommerford TV stand with optional fireplace option sets a casual mood in the heart of the city. 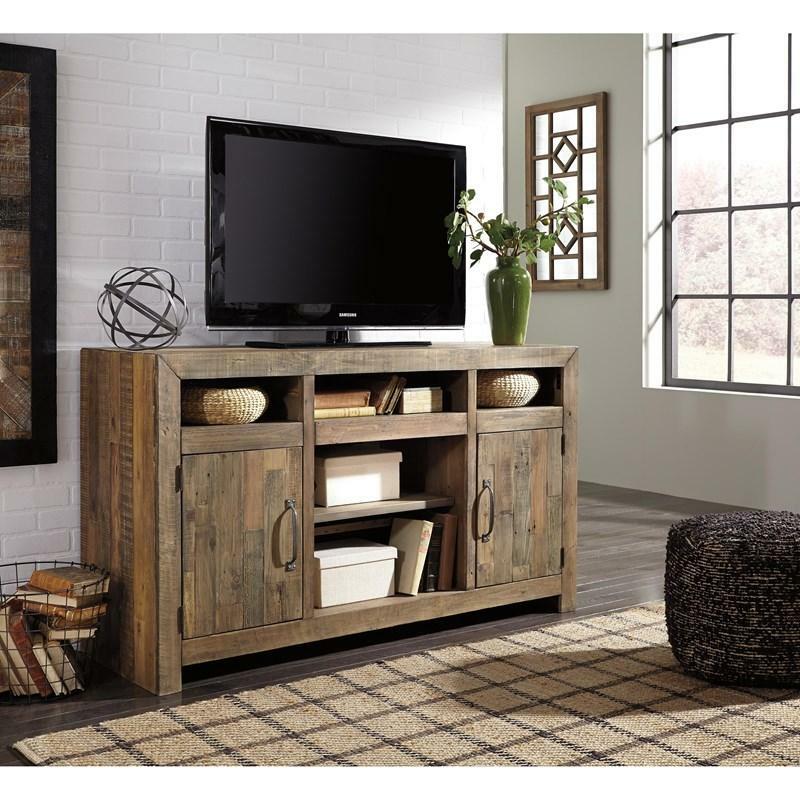 Its earthy style is clean, yet sophisticated, with a rustic gray-brown finish and planked top—an homage to reclaimed barn wood. By removing the adjustable center shelf, you can pop in the optional LED fireplace for ambient warmth. Additional Shelf Information • Top side opening (2) 15.38" x 18.25" x 5.13"
• Top center opening 22.75" x 18.25" x 5.13"
• Adjustable shelf 24.25" x 16.88" x 1.38"
• Adjustable shelf (2) 17.38" x 16.88" x 1.38"
• Bottom center opening 22.75" x 18.25" x 19.88"
Doors / Drawers Information Door opening (2) 15.00" x 18.00" x 19.75"
Volume 15.80 cu. ft. / 0.45 cu. m.
Home Sweet Home Furniture proudly serving Missouri and Kansas. We Carry major brands such as Ashley, FlexSteel, Justice, Corsicana, Restonic, Best, LaCrosse, Southern Motion, Catnapper, Liberty Furniture and more. We showcase a large variety in Living Room, Bedroom, Dining Room, Home Office furniture, and Mattress sales. We are located on the NE corner of the Historic Butler Square in Butler, MO. Come visit our 14,000 square foot showroom today! © 2019 Home Sweet Home Furniture All Right Reserved.